This page is really just an excuse to celebrate Dinas’ tennis court. It has been there for at least 80 years, well maintained, easily booked for a reasonable fee and well used. How many other small villages have a public tennis court right in the middle? It has been looked after by local volunteers, including Laura Smith who retired a few years ago as booking clerk at the age of 85, and funded by loans and donations from people in the village. The court has the relatively recent addition of a unique tennis bench, made by the village blacksmiths, J E Thomas and Son, who have been established for generations at the same forge on Feidr Fawr. 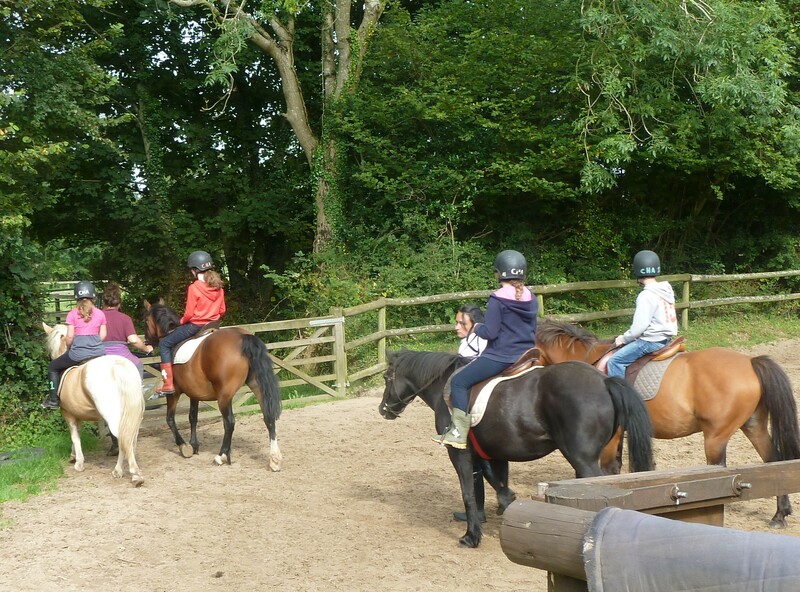 Horseriding: If you enjoy horse riding, or would like to see whether or not you enjoy horse riding, there are the Crosswell Riding Stables, near to Pentre Ifan, just off the A487 between Newport and Cardigan . We have had great family rides and own-a-horse days. Recommended! Sailing: The Celtic Diving at The Parrog Goodwick offers a lot of courses including dinghy sailing and kayaking, that we have enjoyed. Of course the weather can be variable but when it got too windy for the beginners’ sailing, the children enjoyed the powerboat rides that the instructors offered instead. 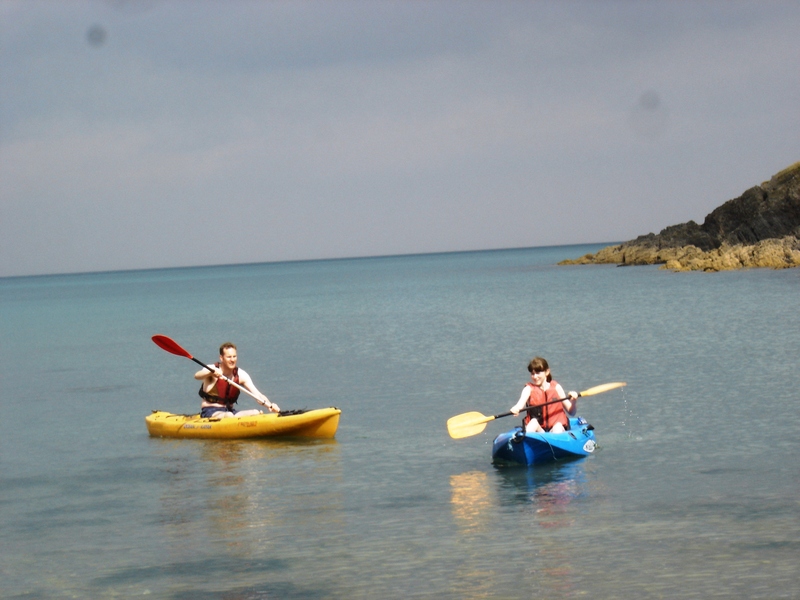 Kayaking: Kayaking is now pretty popular and the bays around Tegfan are very good for this. There are a couple of small bays between Pwllgwaelod and Aberbach, accessible only by sea or from the coastal path, which kayakers can have to themselves. Look out for the Cwm yr Eglwys regatta, held annually in August. Surfing: Whitesands beach, near St Davids is reputed to be the best surfing beach in Pembrokeshire and one of the best tourist beaches in the world. The access road is narrow and winding and the facilities are sparse but the beach is a long expanse of sand and the Atlantic rolling waves provide a spectacle even for visitors who are not inclined to do any surfing themselves. Swimming and Diving: I can’t deny that the water is cold, but the hard bit is getting in. 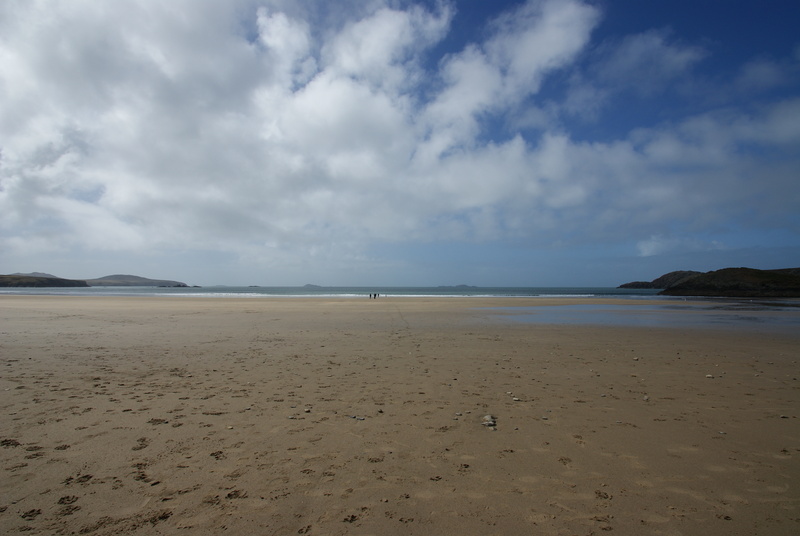 Once you are in the water it’s fine and Cwm yr Eglwys is a good beach to swim in. It gets deep more quickly than Newport and the water quality (as judged by the Marine Conservation Society 2013) is excellent. 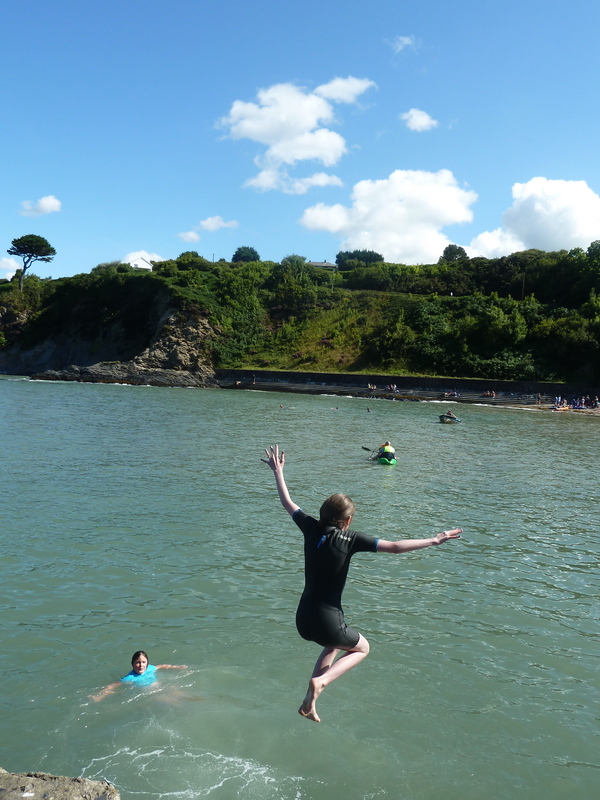 Plenty of people swim in the sea without extra equipment but you can get wet-suits (if necessary) from Newport. When the tide is in, there are rocks to dive from. Go-Karting: There always seem to be opportunities for go-karting near Haverfordwest. I was initially a reluctant participant but am now the proud record holder for the slowest lap ever and I’ll admit to having enjoyed my session. I suppose the boys probably enjoyed it more. It was a great day out for all the family. Golf: There is an 18 hole golf course at Newport, just by the sands. The views are wonderful but, knowing nothing about golf, I can’t tell you more at present.